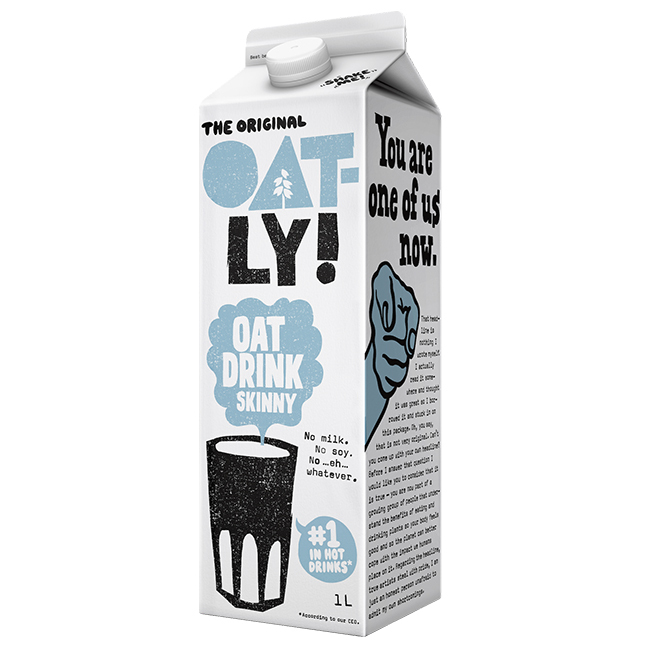 Swedish oat milk brand Oatly has added three brand new oaty beverages to its chilled range that are just like the cow’s milk varieties, but without…the cows. 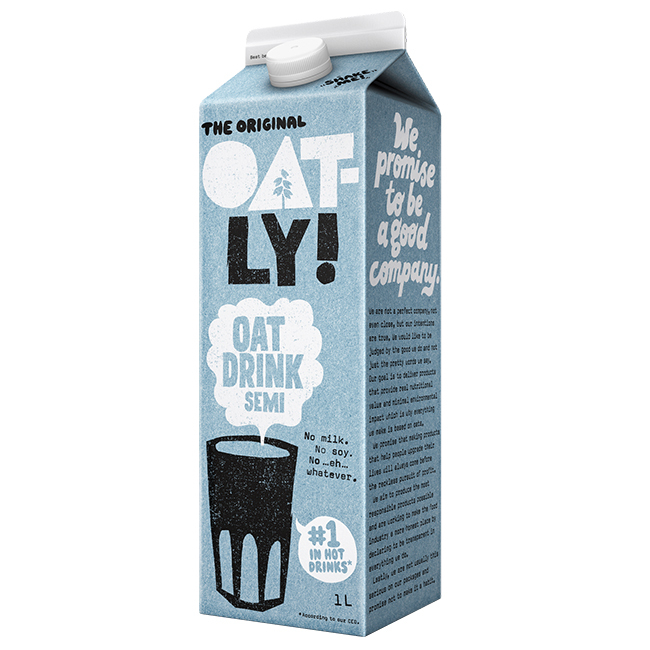 Popular oat milk brand Oatly, who are best-known for their incredibly popular Barista-style oat milk, have just added a brand new chilled range of creamy oat drinks to their product range. We’re talking Skinny, Semi and Whole, just like the cow’s milk varieties, but without…the cows. 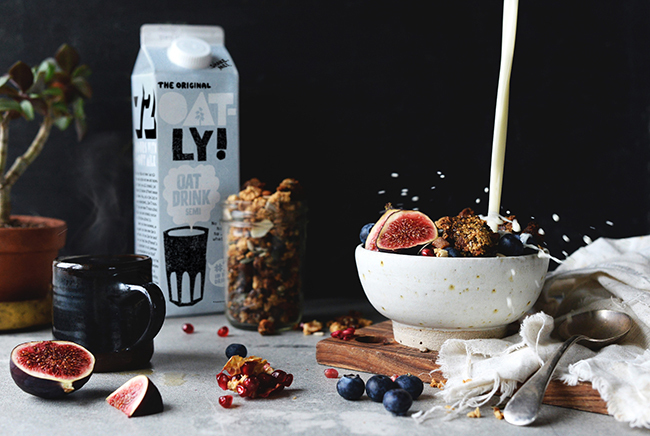 So if you’re looking for a drop of Skinny for your tea, a bowl of Semi for your cereal or, if you’re going to go wild and splash out on a jug full of Whole for your home-baked muffins, Oatly has sorted you out with a dairy-free, soy-free and vegan-friendly milk alternative. The extra good news is, they all really taste great. Nestled within the chilled aisle, as you’d expect, the range will be available in all major supermarkets this October. 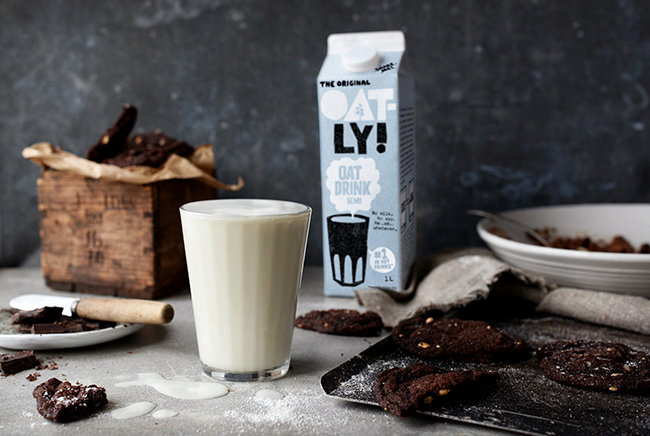 Oatly’s new oat drink, Skinny, is a 0.5% fat, dairy-free, soy-free vegan drink. Not only does it taste amazing, it contains no added fat, but instead has lots of beta-glucans* (big, scientific word for soluble fibre) and is enriched with both calcium and vitamins. 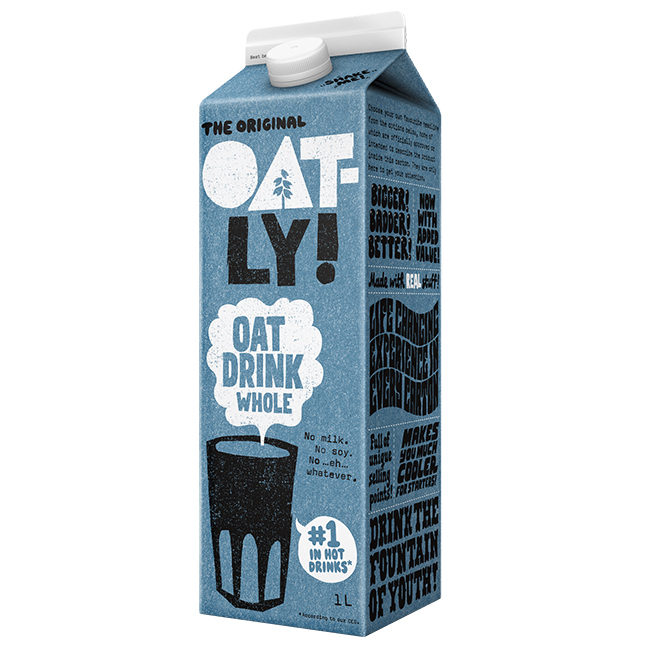 Enjoy Oat drink Skinny on its own, on your cereal, in your coffee, tea, smoothie or simply pour it in a glass and sip away. The Semi drink is a 1.5% oat drink that’s a good choice for you and the planet. It can be poured on porridge or gulped straight from the carton when nobody’s watching, whatever, it’s totally up to you. But most importantly it performs beautifully well in coffee and tea! Say goodbye to lumps, sorrows and trouble. It’s creamy and has a smooth, subtle taste. But above all, it’s perfect for people who don’t like extremes. So only the best is good enough, huh? Then drinking Oat drink Whole is for you. It’s the obvious choice when you want to swap whole cow’s milk for something good for the planet. If you use this super delicious oat drink when you bake your muffins, cakes and bread, they will come out so moist that it may not even bother you when people use the word “moist”. It’s perfectly smooth and creamy without the saturated fats you usually get when you drink something creamy, and instead Oat drink Whole has lots of healthy unsaturated fat. You’ll find the new product range in Waitrose, Asda, Ocado, Tesco and Sainsbury’s, with an RRP of £1.80 from the 8th October.